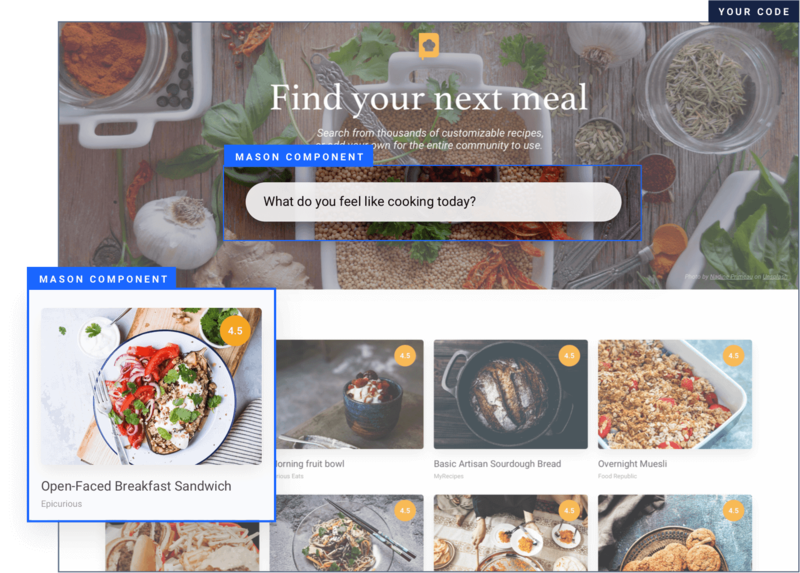 Mason is a feature-building platform where modern product teams design, build, and deploy front-end features together. Ship front-end features in minutes, not months. A better way to build features for your web app. Mason provides front-end features for common product needs, like user registration, news feeds, SSO, two-factor authentication, and more. Tailor them to match your look and feel perfectly, or build a custom feature using common elements. Drop your feature into your codebase — that’s it, you’re live. You have complete strategic control. Export your feature, grab a single line of code, and drop it into your existing codebase. Your Mason-built feature will show up exactly where you want it, and you can relocate or remove it whenever you want. Bring your entire product team together, with Mason. Our builder lets anyone rapidly style and make visual changes to software. Make a change, hit save, and your change is live in real time. Push updates in seconds, not weeks. Rapidly style and make visual edits to your features inside the Mason builder. Make a change, hit save, and your change is live—in real time. Mason lets you move faster, respond to customer needs more quickly, and accelerate as a team. Design, build, and deploy functional front-end features for your app or website—all from one place, together—with Mason. Goodbye, messy code. Pick a feature, or a series of them, like a login flow or content feed experience. Mason provides the feature skeleton—you design it exactly how you want it to look. Take the single line of code Mason generates for you, drop it into your codebase, and see your feature—live and fully functional. 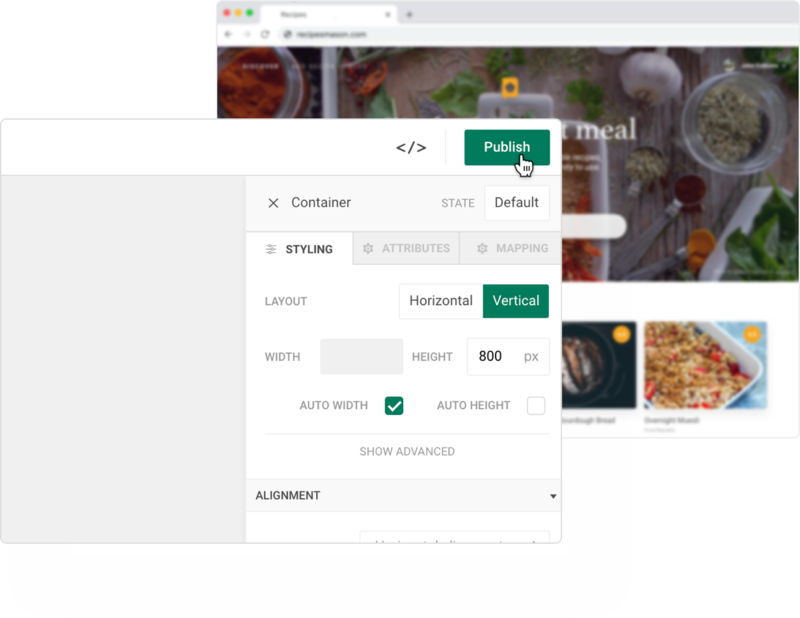 Building complete front-end solutions visually is a revolutionary way to work. Mason empowers teams to move quicker, bypassing deployment cycles and moving straight to the solution. Mason offers a great solution for agile teams looking to move fast while maintaining a high bar. You can implement experiences that every app/site must have, without needing to devote valuable in-house developer time to them. 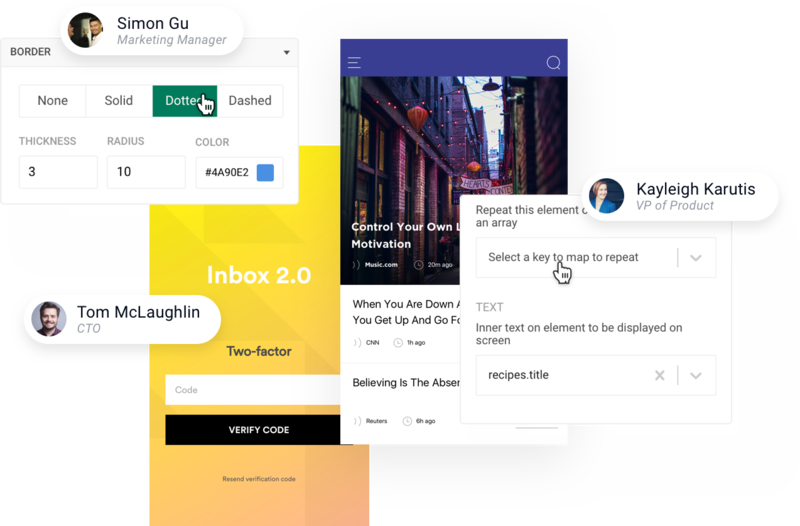 Build fully-functional products, experiences, marketing sites, and more, then manage and update it all inside Mason. Visually assemble complete software solutions; no coding experience necessary. 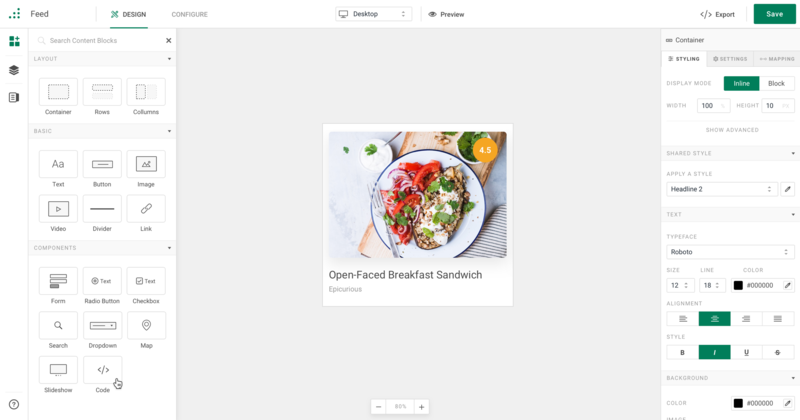 Mason features look and feel exactly like the rest of your site, product, or web app. Mason components are fully responsive and work on any device. Mason sends data directly from a client's browser to your server via an end-to-end HTTPS encrypted transaction without ever hosting it. Mason features are delivered on demand and only appear when called, improving loading times and page speed. Save time, move faster, ship sooner—with Mason.